Capitão Nascimento: Ask to leave! Holy mother of corruption and truculence!!! 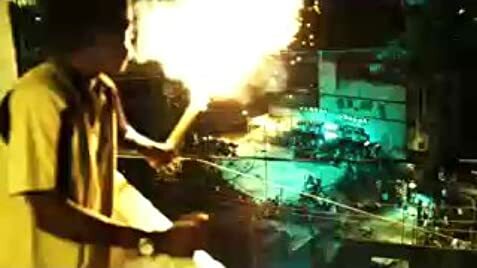 "City of God" was just a perfect movie. 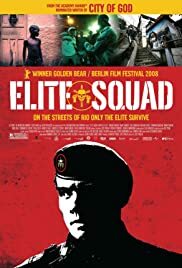 "Elite Squad" goes beyond that; it's a WTF movie. Brutal realism, terrific acting (Wagner Moura... wow), brilliant script and plot, precise edition, unforgettable quotes... This movie is just insanely good. If you live in a developed country you'll probably think this is just another thriller. For anyone living in a 3rd country it's way more than that: it's a brutal picture of our degradation and corruption, a revelation that runs over you like a truck. The most striking aspect about the movie is how clearly it shows how everyone is at the same time guilty and victim in the whole war against drugs: the do-gooders NGOs, the politicians, the corrupt police and the not-corrupt but truculent "Elite Squad". It shows it precisely but with sense of humor and very smartly. In this war, everyone that proclaim to have moral and values is actually hiding skeletons in the closet. It's all a story of gangsters against gangsters in a degraded society. 180 of 226 people found this review helpful. Was this review helpful to you?